The Best Hot Artichoke Dip! 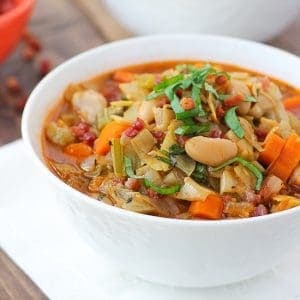 EVERYONE always asks for this recipe! Perfect for any kind of party or gathering. 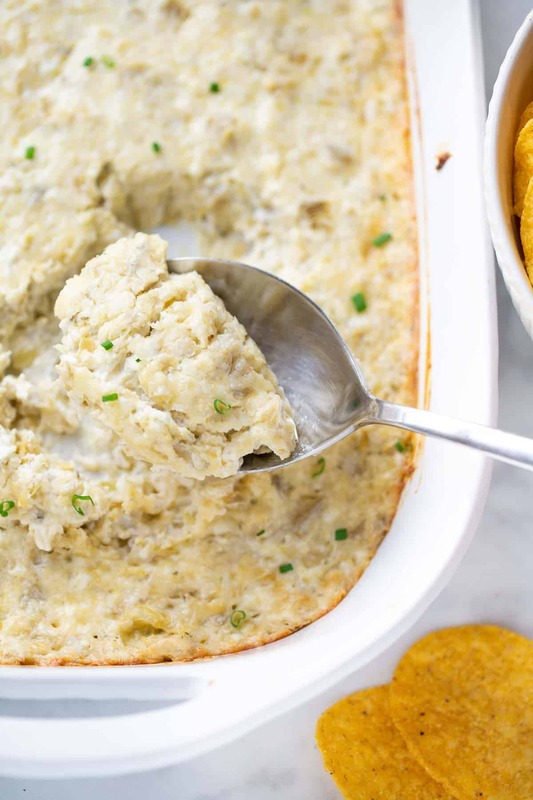 This Hot Artichoke Dip is my GO-TO any time I have to bring a dish to a party to share! It’s the answer to all of life’s “what should I bring to eat” questions. Baby shower? Birthday party? Superbowl party? New Years Eve appetizer? Holiday pre-meal snack? 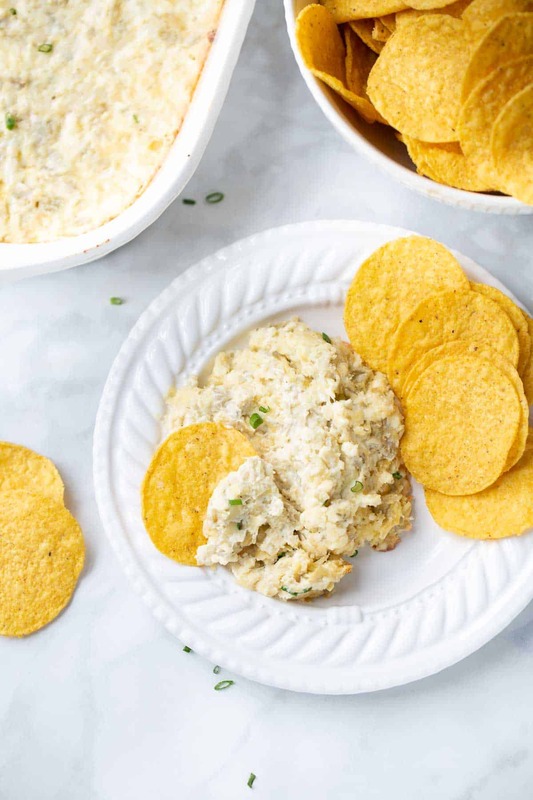 The answer for all of these can be Hot Artichoke Dip! I’ve made this hot creamy artichoke dip for more parties and holidays than I can remember. 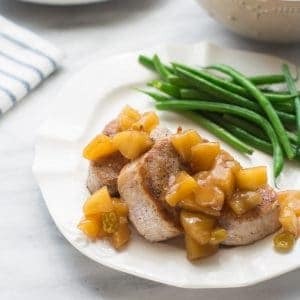 It is a huge crowd-pleaser and always disappears quickly. Gooey, melted cheese with the zesty flavor of marinated artichoke hearts is a classic for a reason. 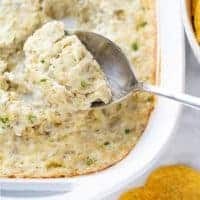 One of the things I love about this Hot Artichoke Dip is that you can make it in advance and bake it just before serving. I love appetizers like this so you assemble it and clean up all the dishes before guests arrive! What makes this artichoke dip so delicious is the combination of mayonnaise, sour cream and cream cheese that makes up the base. These three ingredients make the dip perfectly creamy and give it a nice balanced flavor. It is also loaded with finely chopped marinated artichoke hearts and parmesan cheese. Be sure to use jarred marinated artichoke hearts and not canned artichoke hearts for maximum flavor. I also like to use a higher quality grated parmesan cheese (like the kind from Trader Joe’s) so it melts into the dip. Lower quality parmesan cheese can have anti-caking agents added that make the dip more grainy. 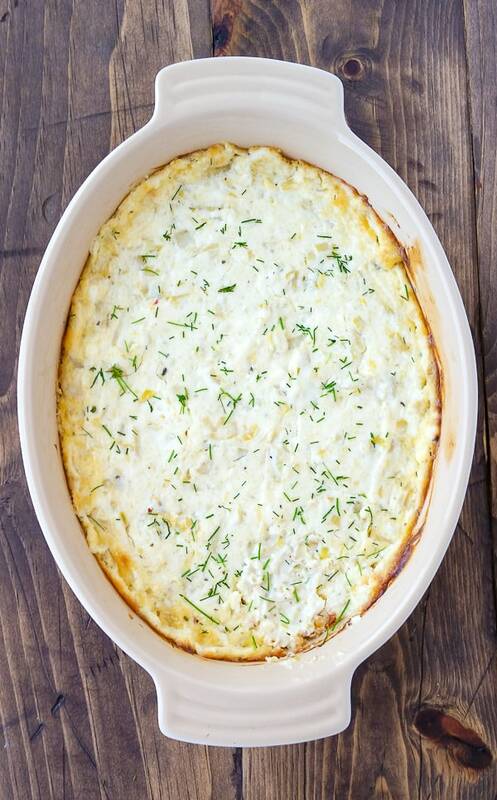 After mixing this dip together you spoon it into a 9×9 or 9×13 casserole dish. If you have a nice quality smaller casserole dish that also works great! 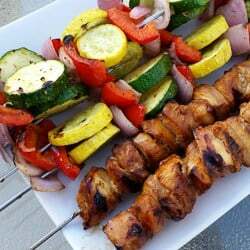 This recipe is flexible with a variety of pan sizes. 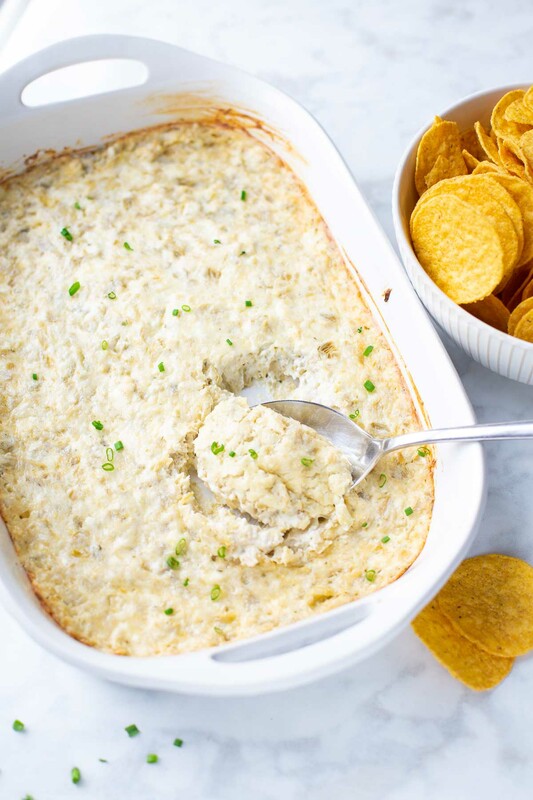 I like serving this Hot Artichoke Dip with tortilla chips for a gluten-free appetizer. It is also great with crackers or slices of gluten-free bread. Sometimes we’ll make homemade gluten-free baguettes to serve with this for an extra special appetizer on New Year’s Ever or Superbowl Sunday. If you’re craving a dip as good as one you’d get in a restaurant, this will not disappoint. Whenever I bring this to a party, my husband always goes straight for it before everyone else discovers it and it’s gone. Because with this dip, that happens very quickly! I had made this dip on my sweet daughter angel’s birthday as party appetizers, and was appreciated by everyone. Thank you so much for sharing this amazing hot creamy artichoke dip recipe. We made this over the holidays and my in-laws LOVED it. So easy and tasty. Served it with tortilla chips for my GF sister-in-law too. This dip is PERFECT for your parties. It’s warm and creamy and pretty easy to make! It’s one of our favorites.